Camping trips and festivals don’t have to be messy, ditch those baby wipes and keep clean the proper way by using a portable camping shower. If you were one of those people that liked the idea of camping but the hygiene side of it put you off, then now you’ve got no excuse not to explore the outdoor world. We’re not trying to say camping should be luxurious, unless you want it to be, but being outdoors it’s inevitable that you’ll get somewhat dirty so basic hygiene is a necessity for most people. A portable outdoor shower is not only used to wash yourself it can also be used for many other reasons, such as: To clean dishes at camping, washing the dogs at home, showering at home if the boiler broke. There are plenty more reasons why someone would use one. In order to gain privacy whilst showering outdoors, most people would shower in a pop up shower tent. However, if you’re on a camping trip then you can also buy one of the best camping windbreaks and use that instead. Although a windbreak won’t provide you with the same privacy a shower tent would, it’s not a bad option if you want to save a bit of money if you were going to buy a windbreak anyway. Without further ado, we’re going to jump right into it. 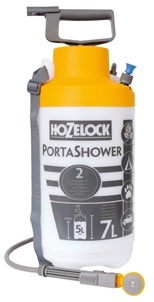 You can see our guidelines on choosing the best portable camping showers by clicking here or scrolling past the reviews below. High quality durable 4-layer material. Solar panel layer uses sunlight to heat up the water quicker. Water temperature gauge allows you to check when the water temperature is just right for you. Comes in 3 capacity sizes: 9L, 11L or 19L. Showerhead with on/off switch to save water. Mesh storage pouch to hold your toiletries. Need a quick warm shower? This solar shower bag absorbs sunlight and heats up the water with its built-in solar panel. Due to the slightly lower capacity, it’ll also heat up a lot quicker and don’t worry there’s a built-in temperature gauge so you know when the temperature is just right! 20 litre capacity enough for you to have a thorough shower. Simply just fill it up with water. Place it out in the sun for 3 hours and it’ll heat up to 40 degrees. Flexible tube makes it easier to reach all part of your body. Shower head has on/off switch so you’re not wasting water. Made from non-toxic resistant PVC material. Stay clean with one of the cheapest camping showers, it can be taken with you anywhere and it’s so easy to operate. Not everyone can endure a cold shower even when it’s warm but thanks to solar power you can turn this into a portable hot water shower. Powerful shower pump so you can have a home shower feel. Built-in rechargeable battery which can be charged via USB from your power bank or laptop. Water filter system guarantees clean water. 8m flexible hose enables you to reach all areas of your body. 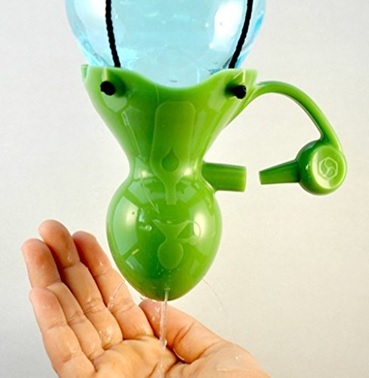 Hang or stick the showerhead onto anywhere with the choice of using either the suction cup or hook. Water flow rate at 2.5L per minute. Just stick the shower pump in a bucket of water, flick the switch on and you’ll have a portable power shower in no time. This portable shower unit can be easily charged with its convenient USB connection, a 60 minute charge will be enough for you to have a shower. Large 40L capacity holds enough water for multiple showers. 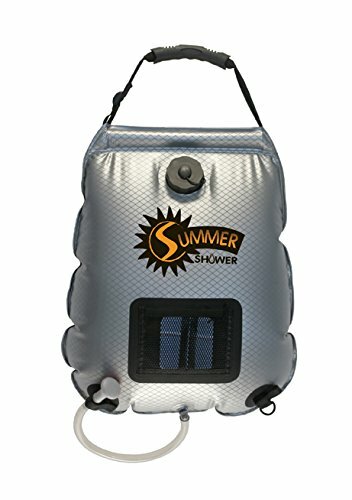 Use solar energy to heat the water up simply by placing the shower bag in the sun. 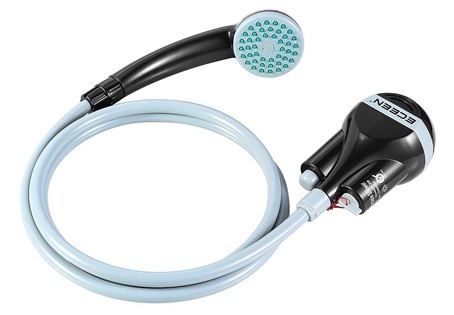 Flexible shower hose with showerhead to reach all areas of your body. On/off switch on showerhead to turn off the switch when it’s not needed. Hanging rope attachment so the shower bag can be hung anywhere. Portable and can be folded away when not in use. Heat up enough water for the family or group of friends with this large solar shower bag. Simply pour water into its filling hole leave it out in the sun for 3 hours or less depending on how hot you want the water and enjoy your shower. It comes with a drawstring bag for easy transportation for when it’s empty. 7L capacity enough for a quick shower. Convenient carry strap which can be hung on something when you’re showering. Long 2m flexible hose with spray head. Pressure pump increases the power of water flow. This portable multi-purpose shower can still pack a punch without any electricity! The pressure pump increases the pressure inside causing water flow to spray out with much more force. Ideal for caravanning, camping, washing the car, pet cleaning and watering plants. Connects to your car’s cigarette lighter for power. Long 5m power cable so you don’t have to shower right next to your car. Shower head can be either stuck onto a smooth surface with the suction cup or hung with the hook. Adjustable water pressure on the shower head. Supplied with a waterproof storage bag. Power your shower through the 12V cigarette lighter in your car, don’t worry about forgetting to charge up your portable camping shower. The 5m long power cable will give you enough distance so you can use the shower further away from your car. Convert any bottle into an efficient water tap. Dispense water in 3 different ways. Hanging strap can be hung onto a tree branch or something similar so the SpaTap will be at a suitable height. Takes long 13 minutes to dispense a 1.25L bottle of water. Wash your hands, feet or even shower efficiently with the eco-friendly SpaTap. Water is precious more so in less developed countries and shouldn’t be wasted, the SpaTap will help you minimise your clean water usage and ensure you only use the amount of water you need to. 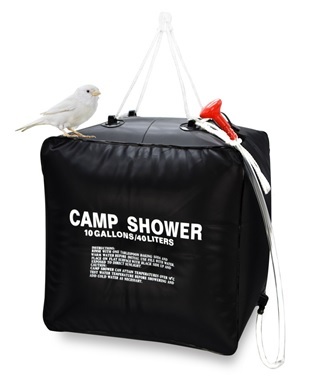 Choosing the best portable camping shower may also depend on the type of activities you’ll be using it for. 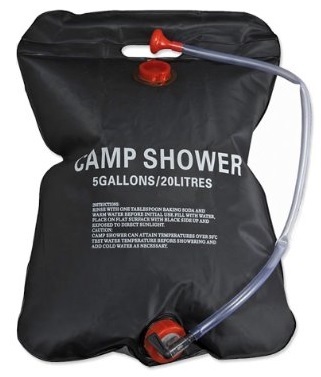 There are two main types of camping showers, each one will be more suited to certain types of activities. Very light and portable to carry around. Simple to use and doesn’t require any power. Can buy different size bags to cater towards the number of people you’ll need it for. Water stream is quite weak. Some models have a built-in water filter system for a cleaner shower. Depending on the model, it can either be powered up by charging it via USB or through your car’s cigarette lighter. Need to either bring or buy a folding bucket as well. Has to be charged up before using it.